Brianna West is an Amazon Bestselling author who lives in beautiful Iowa with her wonderful husband and four adorable children. She writes funny, real romance stories that are accompanied by humor and supernatural elements. 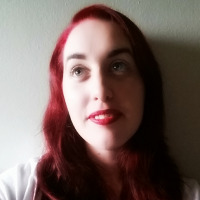 First published in October 2015, Brianna has gone on to add several books to her main series and spin-off series since then. Her stories feature sassy, strong heroines. Hunky, supernatural heroes. A sordid amount of action. Enough humor to leave you laughing all the way through. And a world that will fill you with an overwhelming desire to be a part of it.